When Do You Begin to Look for a Retirement Community? For many older adults, the hardest part about moving into a retirement community is deciding when it is “appropriate.” Generally, it’s the independent people who get this wrong. Why would I move to a retirement community if I’m doing just fine on my own? That’s a great question. Active communities like Kendal at Oberlin promote an independent lifestyle and encourage residents to take advantage of the opportunities made available to remain fun-loving, active people. Unfortunately, some older adults wait until changes in health make it difficult for them to enjoy all the unique benefits of a vibrant retirement living community. Retirement communities are geared towards convenience and eliminating mundane hassle. Typically, many expenses (taxes, insurance, etc.) are included in one fee. It’s a wonderful way to simplify fiscal responsibility. Retirement communities strive to rid residents of less-pleasant tasks associated with traditional home ownership. Mowing the lawn, shoveling the snow and cleaning the gutters are no longer a concern. The upkeep of your home is much easier in your day-to-day agenda. If you’re not enjoying yourself during retirement then what’s the point? Being happily retired should mean more than just tossing out your alarm clock. It’s about digging deep to rediscover your passions and dedicating your time to the pursuit of those ideas. Explore new interests and learn new things. You’ll find enjoying yourself as easy as ever. 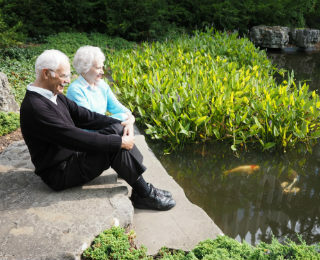 Retirement communities have many amenities to enjoy and companions in the community to embark on new journeys with you. Creative activities, fitness centers, even complimentary college courses are offered by the right communities. Are You Thinking About Safety? A unified sense of community among the residents lends protection to all. Retirement communities add a security blanket for you and your loved ones’ peace of mind. Fire safety and emergency medical systems allow residents to sleep soundly in their homes. Retirement communities are conducive to forming new friendships with those are who are likely to share interests and lifestyle similarities, as you have both selected the same destination to build your future. Engaging communities actively facilitate bonding between new friends and neighbors.